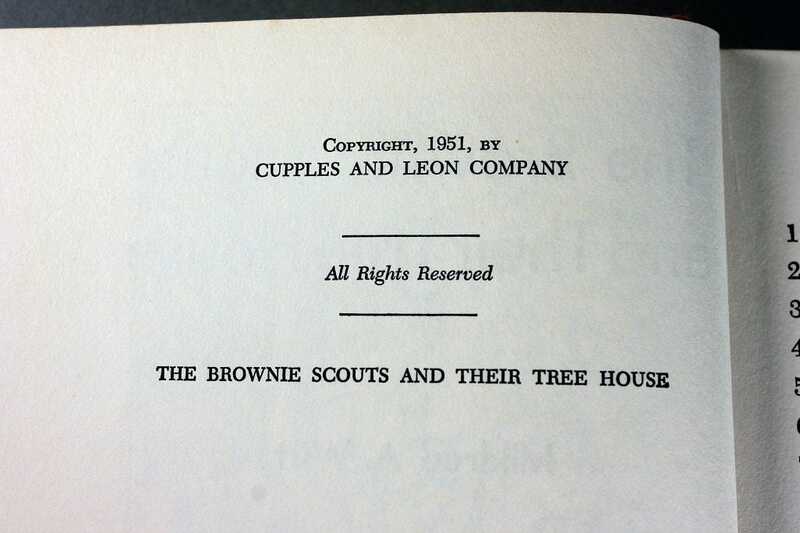 A wonderful children's hardcover book called The Brownie Scouts and Their Tree House. 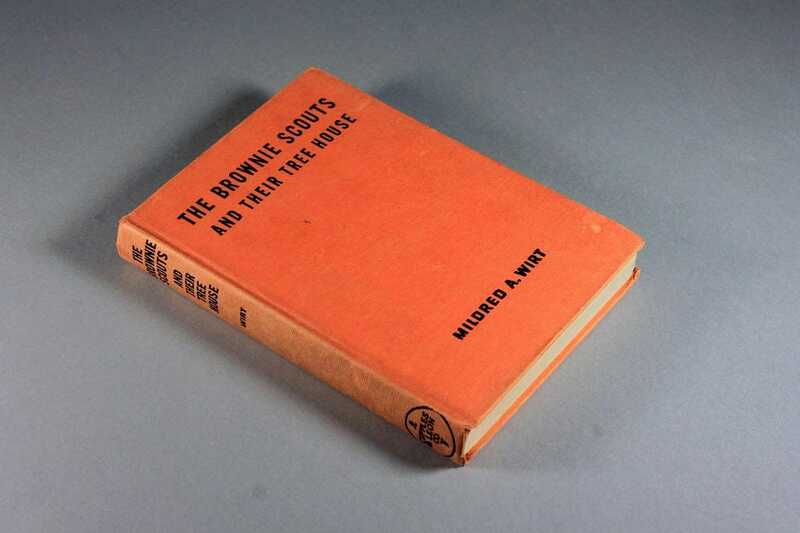 It is number 4 in the series of Brownie Scouts books. 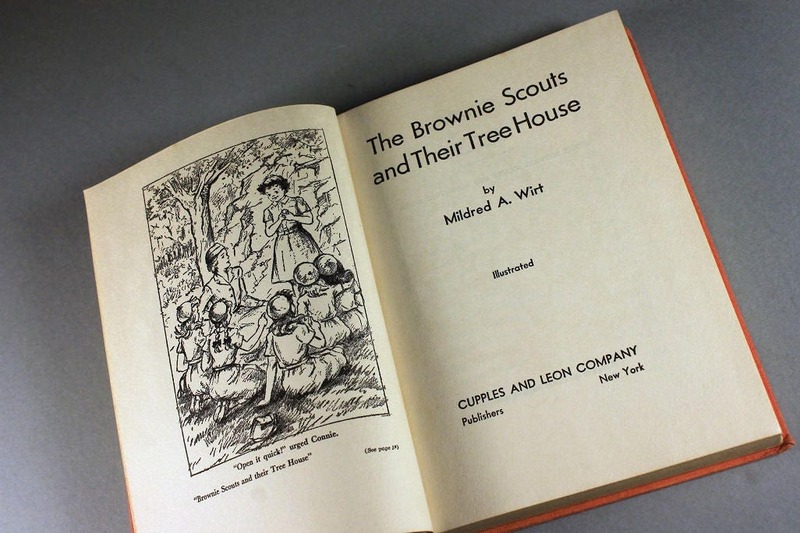 The six-volume Brownie Scouts Series was written by Mildred A. Wirt. 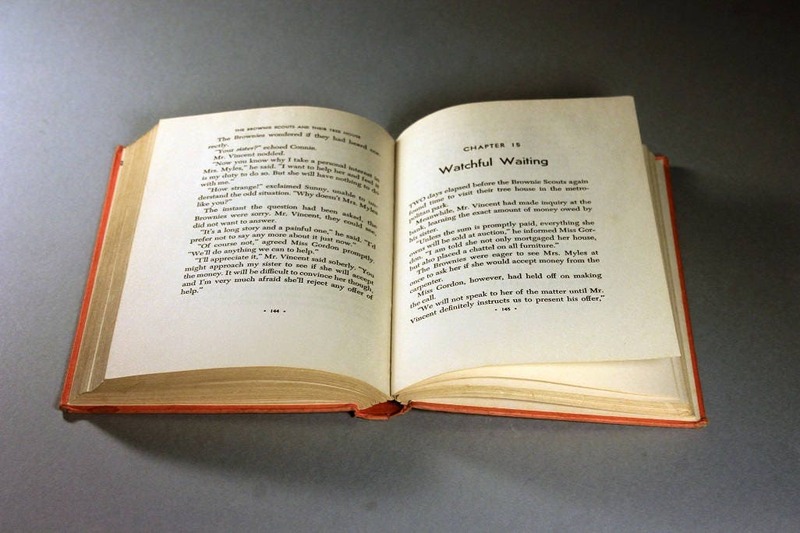 The book has orange cloth cover boards with black titles. Miss Gordon and the Brownie Scouts enjoy walking the trails at the nearby park. One day while they eat their lunch, Veve and Sunny wish that a tree house would be built by brownie fairies in an old oak tree. They ask for a door, windows, and even a staircase. Nobody expects for a tree house to be built for the girls, so everybody is surprised two days later when they return to find a tree house in the old oak tree. 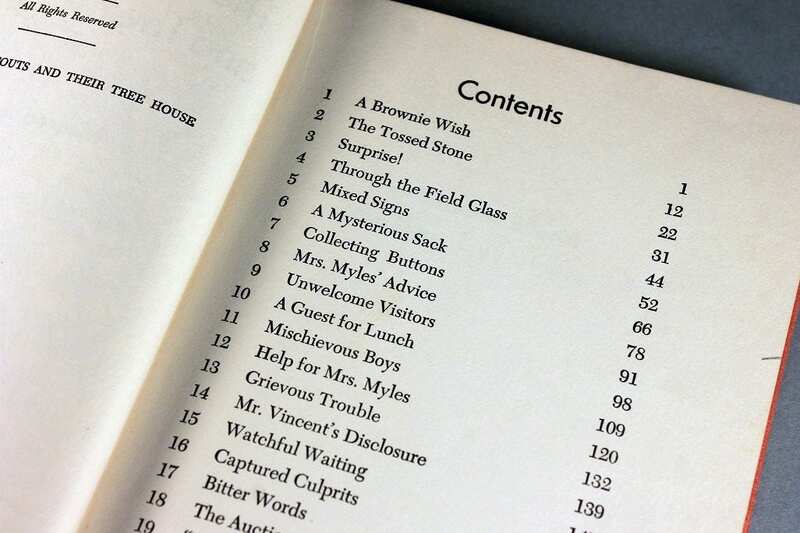 Miss Gordon is uneasy since the builder is unknown and the tree house is on public property. During the Brownie Scouts' trips to the park, the Brownie Scouts uncover several mysteries. 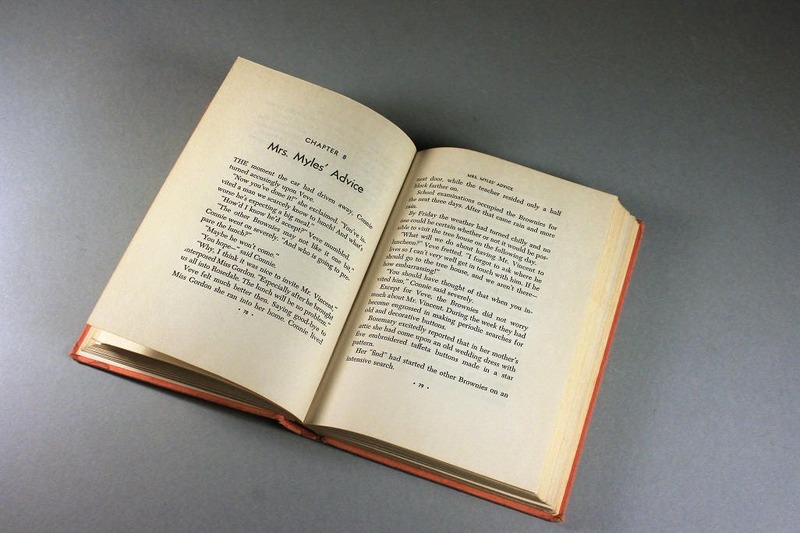 Why does poverty-stricken Mrs. Myles refuse to accept any charity from nice Mr. Vincent? Who are the mean boys who vandalize the park? And who built the tree house for the Brownies? The Brownie Scouts have many exciting adventures as they learn the answers to these questions. This book is in Very Good condition. The binding is in perfect condition. There is a stamp mark on the inside front cover as well as a small water stain on the outside front cover. 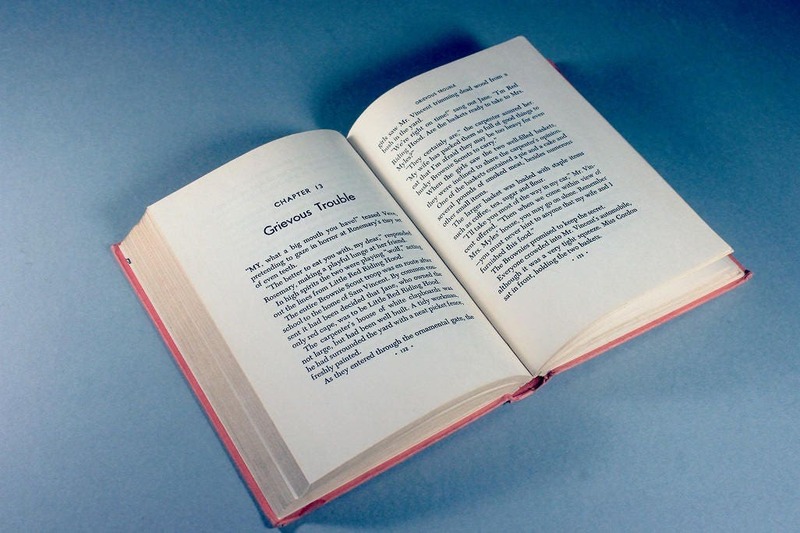 The pages are yellowed from age and it does have shelf wear.